He is currently in Poland with England Under-21s. 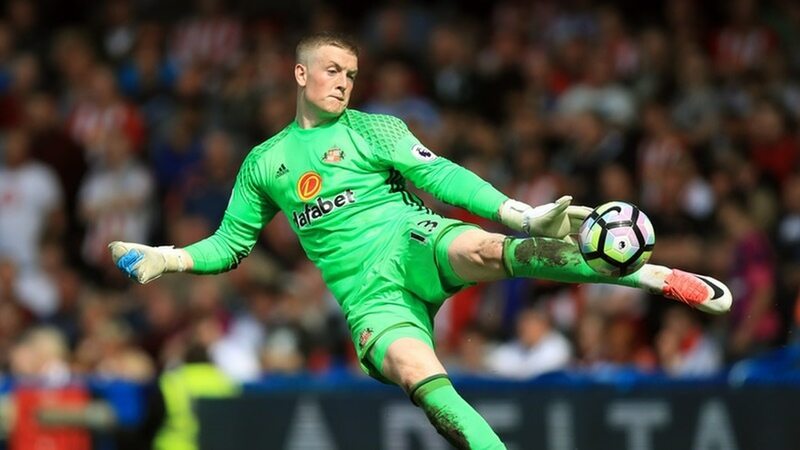 Everton have agreed a fee with Sunderland for goalkeeper Jordan Pickford, Press Association Sport understands. The Black Cats have accepted an offer from the Merseyside club which could rise to £30million with various add-ons included in the package. Pickford was one of the few bright spots as Sunderland were relegated last term and he is currently in Poland with England Under-21s. Great deal for #safc and great move for Jordan Pickford, although it's sad to see him go. Think he could go to the very top. Signing a new goalkeeper had always looked like a top priority for Toffees boss Ronald Koeman this summer. Last year he brought in fellow Dutchman Maarten Stekelenburg but neither he nor Joel Robles could nail down a regular spot between the posts as they made 19 Premier League starts each. Everton were linked with Manchester City’s out-of-favour stopper Joe Hart when he was originally deemed surplus to requirements, and they seemed like one of his more obvious suitors again in this window. However, Koeman has instead moved for the man who may be England’s number one further down the line. Pickford was nominated for the PFA Young Player of the Year award despite featuring for a team that finished bottom of the top-flight table. He earned a call-up to England’s senior ranks in October and has represented the country at each of the six youth levels from Under-16 upwards. Born in the north-east, Pickford came through Sunderland’s academy system and had a series of loan deals with the likes of Preston, Bradford, and Carlisle prior to becoming his boyhood club’s number one last term. Should the terms of each of the add-ons be met, Pickford would become Everton’s record signing, eclipsing the £28million they shelled out for Romelu Lukaku in 2014. The fee is short of the £35million Manchester City parted with earlier this summer to land Brazilian stopper Ederson, though Pickford would be far and away the most expensive British goalkeeper ever. That honour currently belongs to Southampton’s Fraser Forster, who Saints paid £10million for when Koeman was in charge on the south coast in 2014.